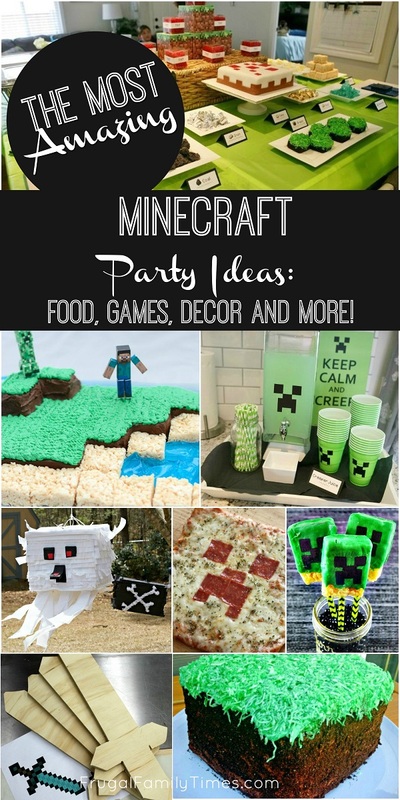 The Most Amazing Minecraft Party Ideas: Crafts, Food, Games, Decor and more! 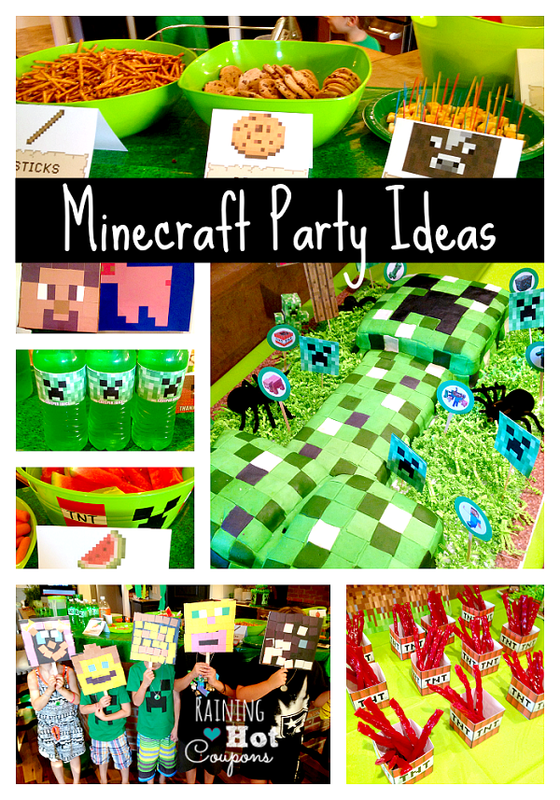 Our first Minecraft Birthday party remains our most popular post here on the blog. Maybe this is how you found us? It's the post that has outed us as bloggers with other parents we know in real life. (I'm not sure why we don't talk about blogging with folks we know in town, but we tend to hide it under our proverbial bushel.) I have a bunch of parents I know come up to me, "Hey, I didn't know you had a blog! I found your Minecraft post online?!" 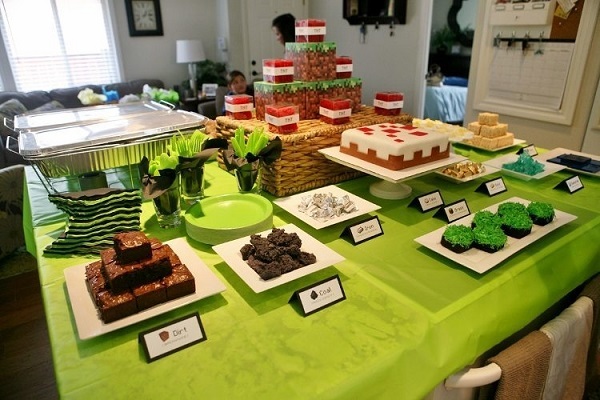 We did a Minecraft party theme for our son two years in a row. It was THAT popular with he and his friends! With good reason - it's such a fun theme - and to lift our bushel a little bit: we had some pretty fabulous party ideas. 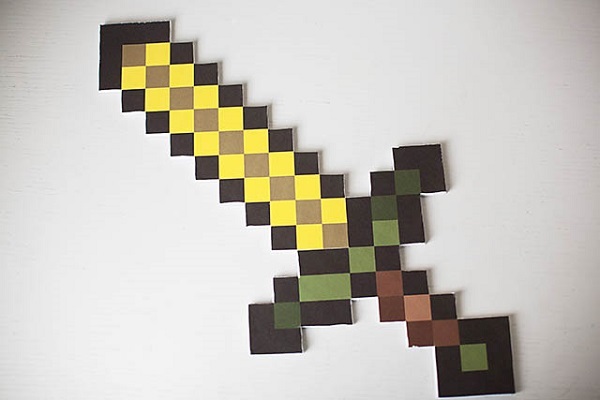 We made some simple swords and the kids had a blast "crafting" them with paint. 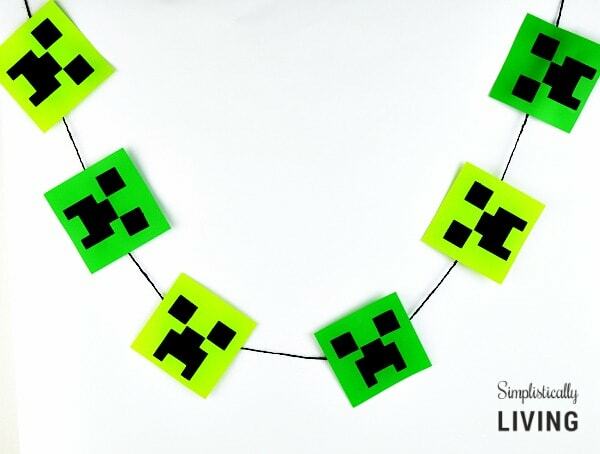 For the "loot bag" gift we made these Creeper t-shirts for all the kids to take home. 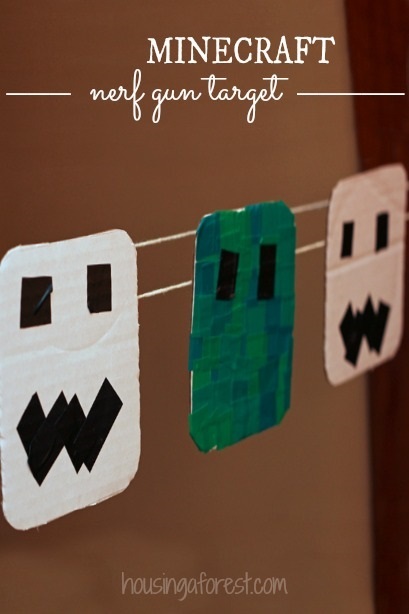 You can get our free Creeper printable and full instructions here! 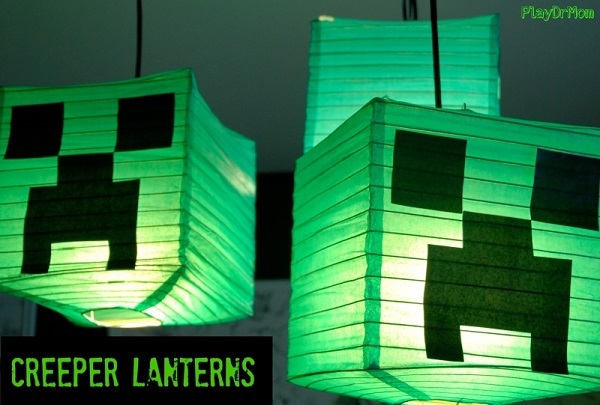 Making Minecraft torches from dollar store finds and another free printable! Our second Minecraft Party had a slightly different theme: Night! All kids know that the Night mode in Minecraft has even more adventures - and we built on this creepier theme with some cool activities. Another free printable to make another super-cool t-shirt for the kids to take home. The eyes glow! The kids all LOVE these shirts and it makes our son feel super special when he sees his friends wearing them. This game that Ed devised was an absolute hit with the kids - it doesn't photograph well - but it was so much fun! 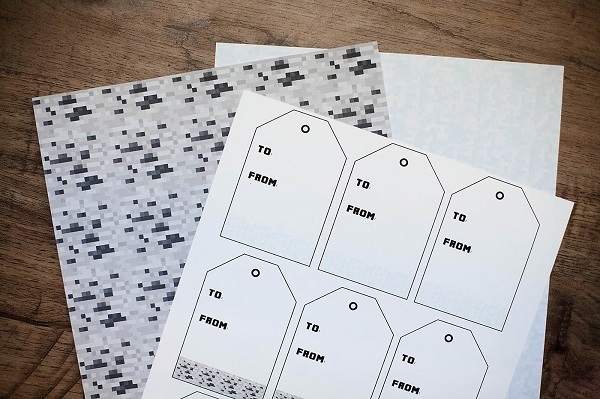 You can get a free printable and instructions here. 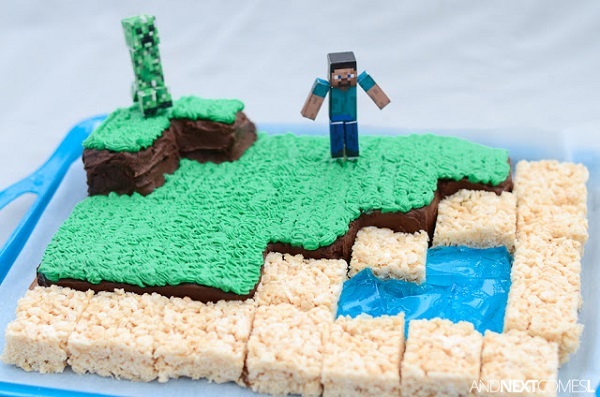 This cake amazed the kids - it looks just like a Minecraft cake! The true beauty of it: it was incredibly easy to make. There are a ton more ideas that I've found from other bloggers that I'm thrilled to share with you. I wrote this post with an ulterior motive. Ed has gone and convinced our son that a Splatoon themed birthday party would be fun. I've heard it involves water guns filled with paint. Of course, that sounds amazing to our son! Of course, that sounds like a nightmare to me! 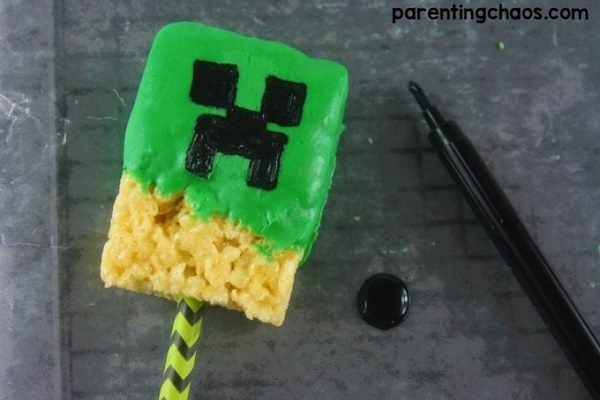 I gathered some more Minecraft ideas in hopes that I can lure him back to something that won't ruin everything we own and end the party in the ER. Maybe you'll find ideas you like here, too! That's the real important reason. These swords are more intricate than ours - but the kids would love how authentic they look. Especially older kids. 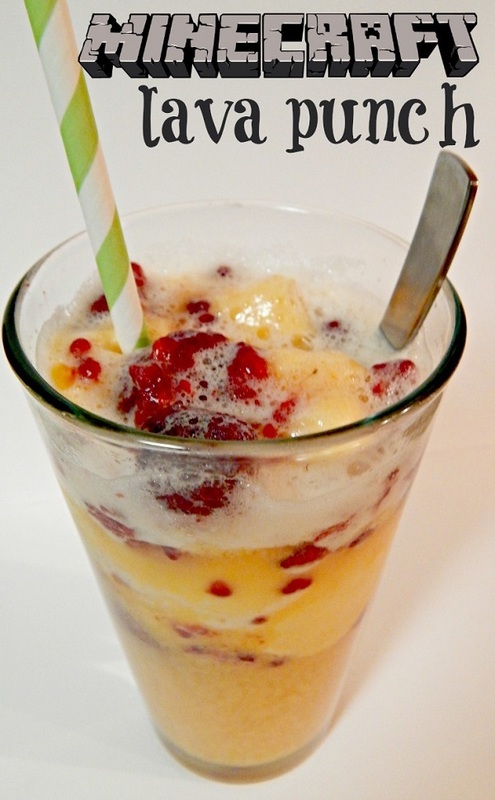 This just looks so fun and yummy! 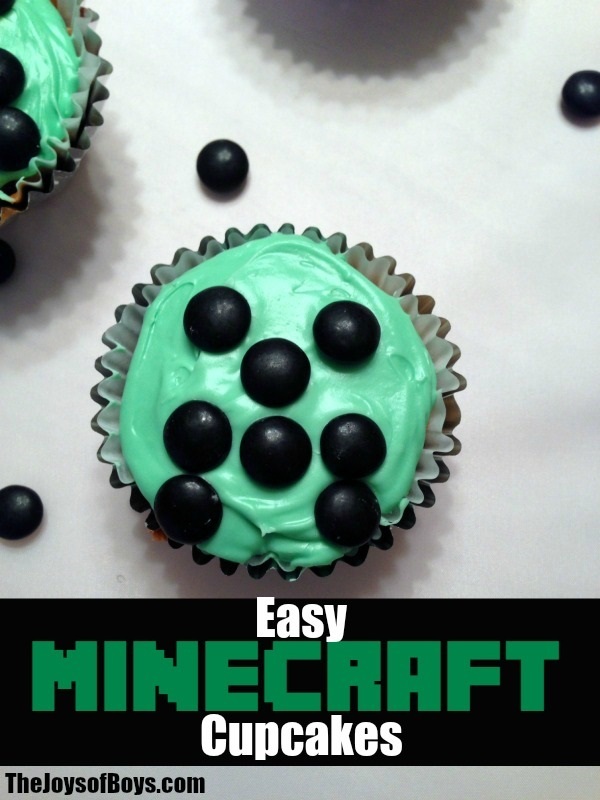 These cupcakes are so cute - and easy! 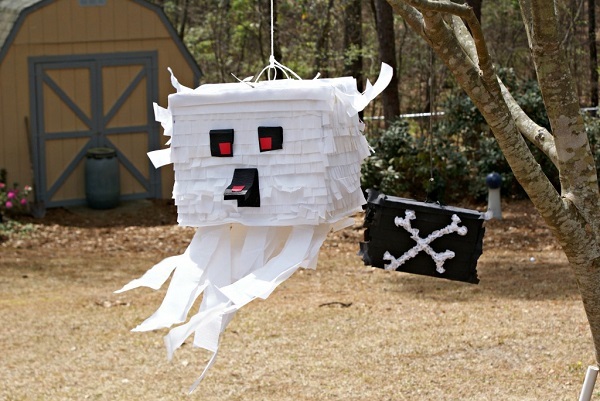 This ghostly Ghast pinata rocks! 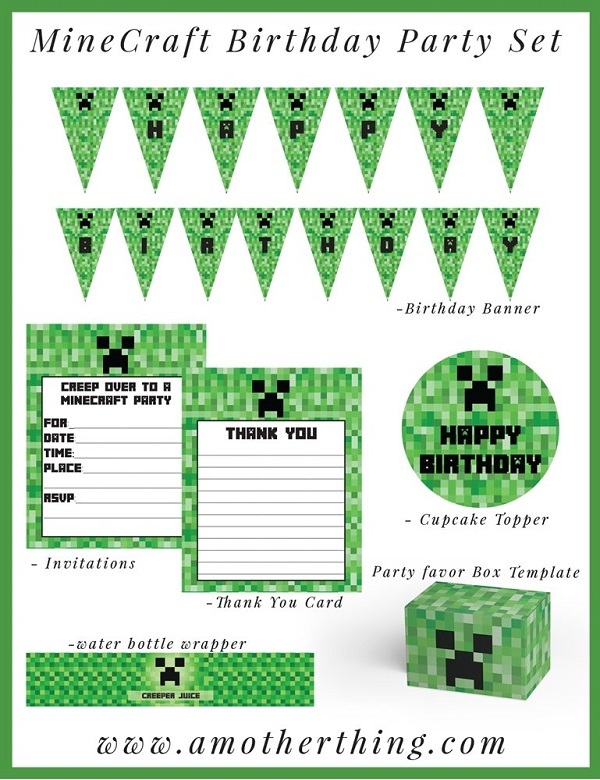 What an amazing collection of Creeper printables! 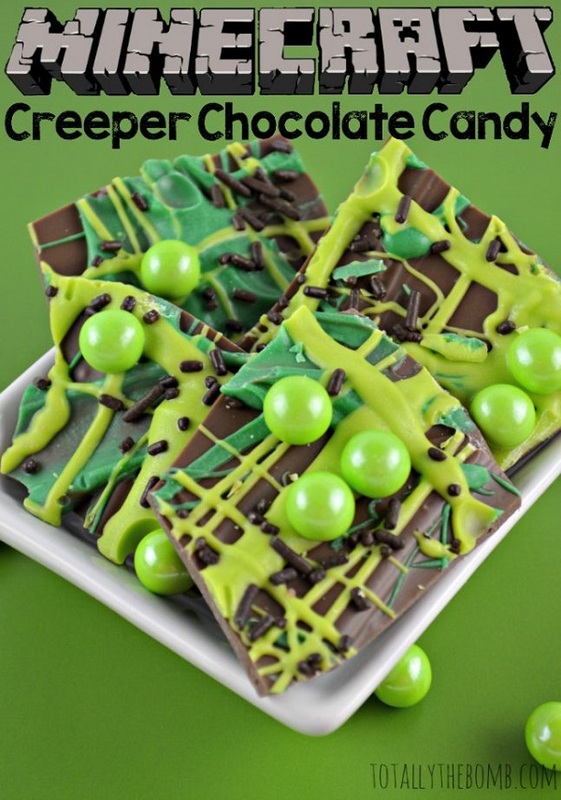 Kids would love to munch on this Creeper inspired snack. I love these Peep-inspired treats - the printable label is hilarious! 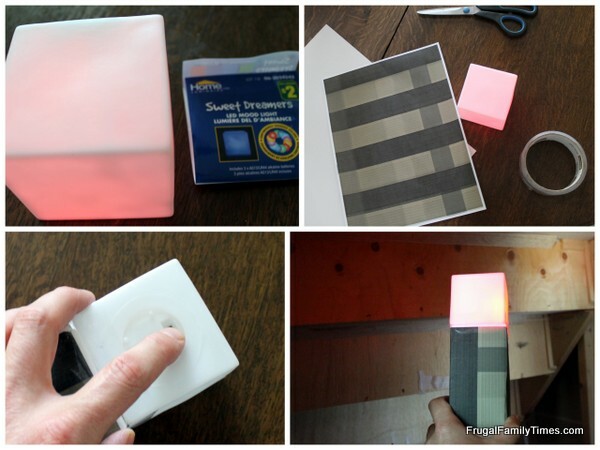 Lots of great ideas here - the TNT licorice boxes are so neat! 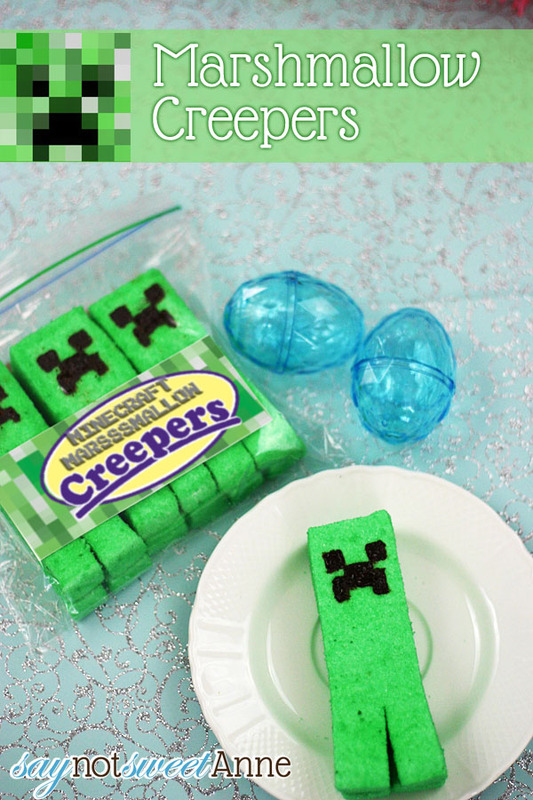 Here's another way to make a Creeper pinata. 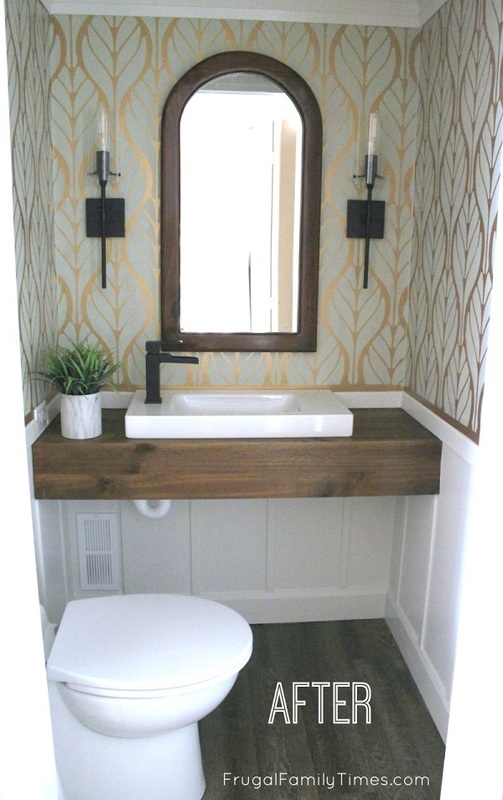 No adult would like the look of this - amiright? 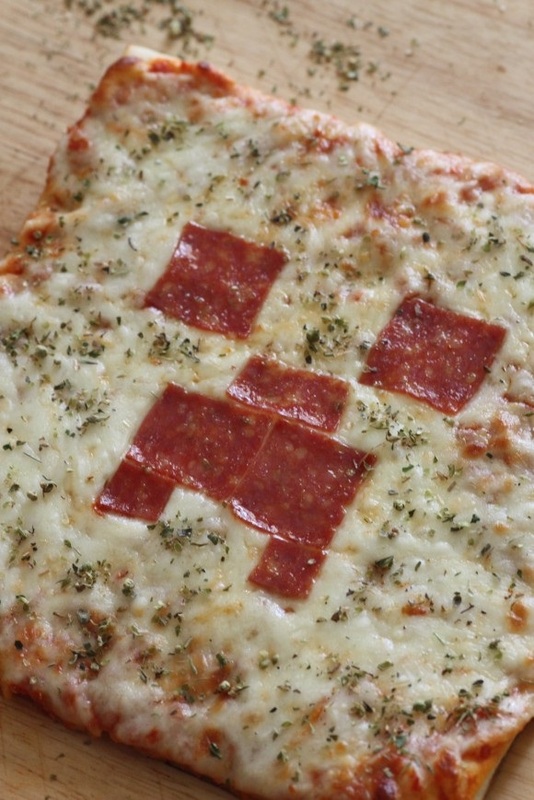 EVERY Minecraft fan-kid would lose their minds! 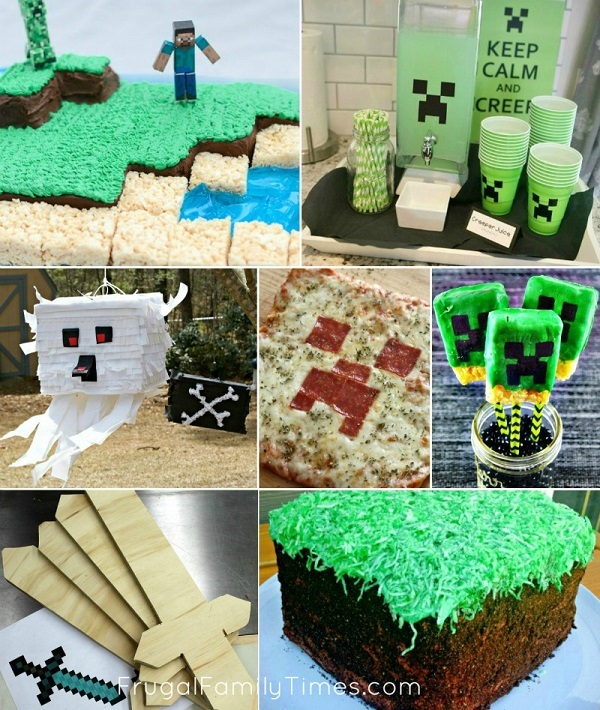 Such a cute cake - looks perfectly like the Grass Blocks - and looks really tasty too! 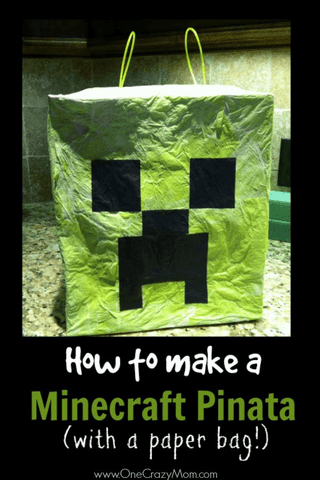 There are so many great Minecraft Printables here - check them out! What a great craft for the kids! I love the building aspect - perfect for the game. 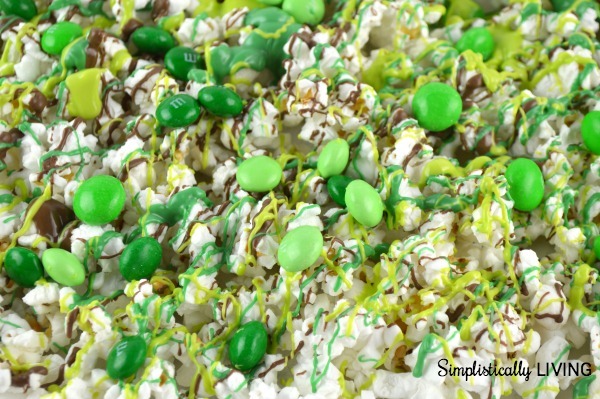 This simple treat could be a great activity for the kids to do! I haven't seen a Minecraft themed drink before! I think I'd actually like this too (with vodka - after the kids have left and I could put my feet up). 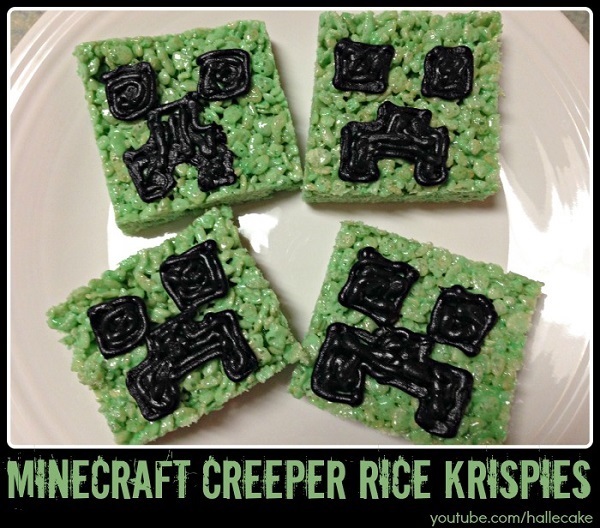 Another easy to craft treat! 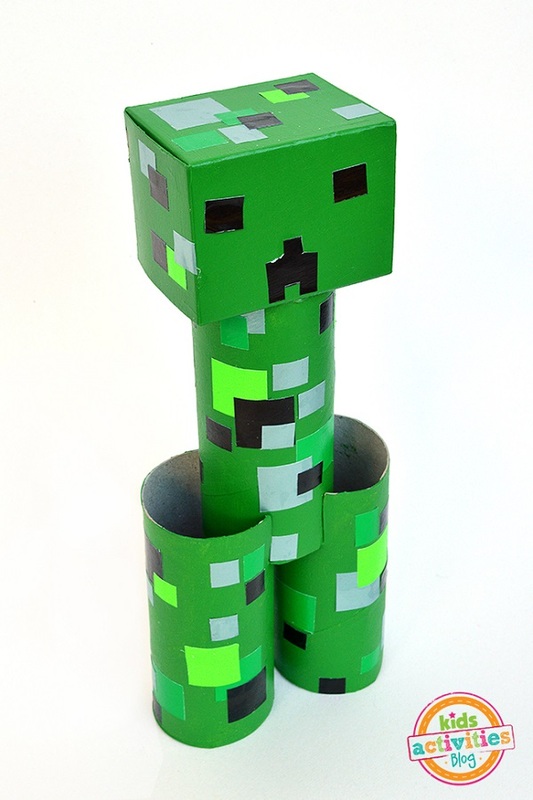 This would come in handy for giving to your Minecraft obsessed birthday child. Kids would find this cake AMAZING! We've shared so many great birthday party ideas over the years - Ocean's Eleven-style Heist! Secret Agent! - and some tips for low stress one's too - you can find them all here!